Social responsibility and volunteerism give ordinary people the chance to do extraordinary things. Skills, time and talents are compounded when they’re combined with the efforts of others. Individuals, groups, companies and families can all volunteer right here in Lewis County, positively benefiting themselves and our local community. United Way of Lewis County has an amazing online volunteer center, matching volunteers to the perfectly suited opportunity. Browse through hundreds of local volunteer opportunities. Potential volunteers can respond to these needs right from the website and everyone’s skills are needed. A few unique volunteer positions currently include Land Stewards for The Chehalis River Basin Land Trust, Troop Leaders with the Girl Scouts and Information Desk Volunteers at Providence Centralia Hospital. Volunteering can happen at any age. Students often need volunteer hours for graduation. Seniors can also offer their time and wisdom to a project. United Way connects volunteers to fantastic local organizations easily. Photo courtesy: United Way of Lewis County. 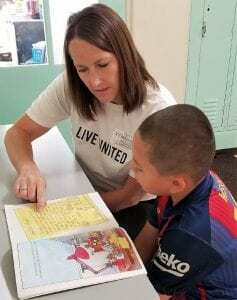 United Way’s Reading Buddy Program brings community volunteers into the classroom to work with students on a weekly basis. Statistics show that kids who aren’t reading fluently by third grade, run the risk of falling behind in all other subjects, often chronically. The Reading Buddy Program helps kids catch up and stay on course – benefiting them for the rest of their lives. This is a chance to help children in a powerful and direct way, and set them on the path to a brighter future. The Lewis County Historical Museum is always looking for volunteers to help preserve the county’s history. They need people to watch the front desk, sell items from the gift shop and help out-of-town visitors with recommendations for local attractions. The job is both helpful and fun! They also need people to do light dusting and glass cleaning. For those with organizational skills, the museum needs help with data entry and cataloging inventory. At the Lewis County Gospel Mission, volunteers can take a tour and talk with office staff to get more information. If interested, they will be asked to fill out an application, permit a background check and provide at least two references. Photo courtesy: Lewis County Gospel Mission. Lewis County Gospel Mission needs volunteers for many tasks. On cold mornings, they need ice-breakers to open the mission, make coffee, put out pastries and talk with guests. They always need two volunteers on-site daily before the doors can be opened. The mission also needs cooks and helpers for breakfast and lunch. On Thursdays, there’s a need for shower attendants. The clothing room needs help with processing donations and assisting guests. On weekends they need teams of two to do grocery rescue delivery to the mission. Other tasks include office help answering the phone, a development specialist, a grant writer, a maintenance person and groundskeeper, and day room assistants to help guests find other resources in the community. Furry friends can add joy to the lives of those who care for them, yet not everyone can own a pet. 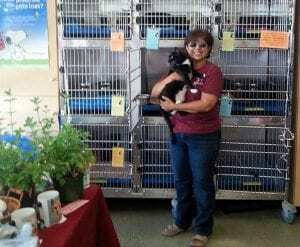 Consider volunteering with one of the great animal organizations locally. Photo courtesy: Kitty Kat Haven. Animal lovers can find ways to help furry friends at the Lewis County Animal Shelter. Play with puppies, walk dogs, groom kitties or do other fun chores. Volunteers are required to serve at least one hour per month. Visiting Hooves Miniature Therapy Horses and Bunnies brings these comforting animals to those living in assisted situations or in hospice. This fun opportunity is perfect for adults who love animals. Kitty Kat Haven is dedicated to giving second chances to local adult cats and taking the time to find forever homes. Photo courtesy: Kitty Kat Haven. Kitty Kat Haven is an adult-only cat rescue in need of kind-hearted people to help with their efforts. The cage-free, no-kill, nonprofit’s mission is to give second chances to local adult and special needs cats. The organization is all volunteer-driven and needs help at events in the community. There are opportunities for fundraising, marketing, outreach and construction projects. Loving foster homes are also needed for the cats. The Cat’s Meow Spay, Neuter and Adoption Project needs help with fundraising and outreach events. Other projects perfect for student volunteer hours include helping with laundry or cleaning transport carriers. A huge upcoming project in August at the Southwest Washington Fair will require many students to help with supervising recycling stations. The money from recycling aluminum will go to The Cat’s Meow to help reduce euthanasia through spay and neuter outreach. 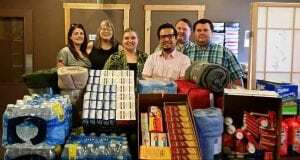 Winlock is home to Small Acts of Kindness, a fantastic group working to do community and youth projects, fundraisers, and food distribution. 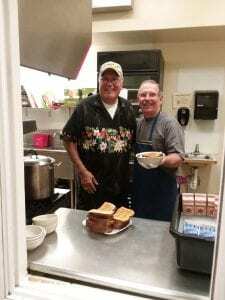 The Rowdy Rooster, a local restaurant and thrift store that supports the Winlock-Vader Food Bank, also needs volunteers. Team Laugh Out Loud averages eight to ten fundraisers a year. Their Facebook page says “We are loud and love to have fun! We like to think outside the box for fundraisers. We are passionate about helping our communities.” Photo courtesy: Team Laugh Out Loud. In Napavine, Team Laugh Out Loud is committed to helping those who are facing unfortunate circumstances. 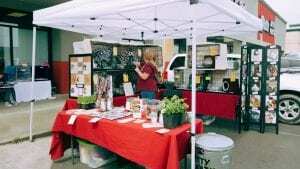 The Napavine Funtime Festival hosts fun events throughout the year. They need manpower to help with games at their Halloween Party on October 27 at Napavine Elementary. The Annual Christmas Parade on December 1 needs volunteers to help with decorating the Welcome to Napavine sign area. The Annual Adna Scholarship Dinner is a fundraiser for Adna student scholarships. Photo courtesy: Adna Scholarship Foundation. The Adna Scholarship Foundation’s biggest need is for volunteers to help with the planning process for their annual auction dinner. There are also opportunities to help with planning, marketing, decorating and making donation requests. This volunteer opportunity is best suited for those willing to speak up with ideas and an overall willingness to step up wherever there’s a gap. Social responsibility is not just about the cause. Volunteerism is where compassion meets action. Looking beyond our own circumstances can ignite a passion that becomes a catalyst for personal growth. There’s also no better way to affect positive change and address issues facing the community. Reach out to one of these great organizations and see where you can help.